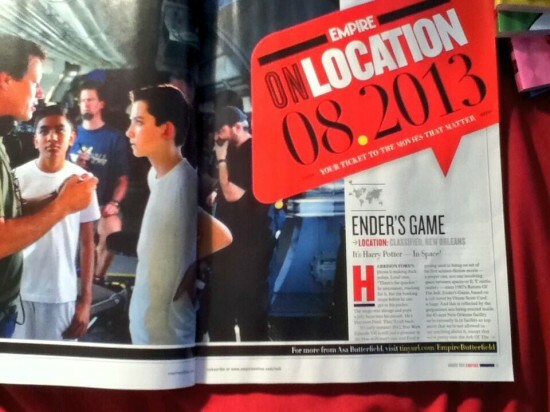 Thanks to a photo by @charloteburows, we can see that Empire magazine has a cool behind the scenes photo of Asa Butterfield as Ender (right in white), Suraj Partha as Alai (center), and director Gavin Hood (left). The article was released online in May with an exclusive photo of Graff watching Ender in the Battle Room. We’ll try to get a better look at the image soon!